A girl for all seasons: Scrap that idea! Theresa, my sister Geraldine and myself. 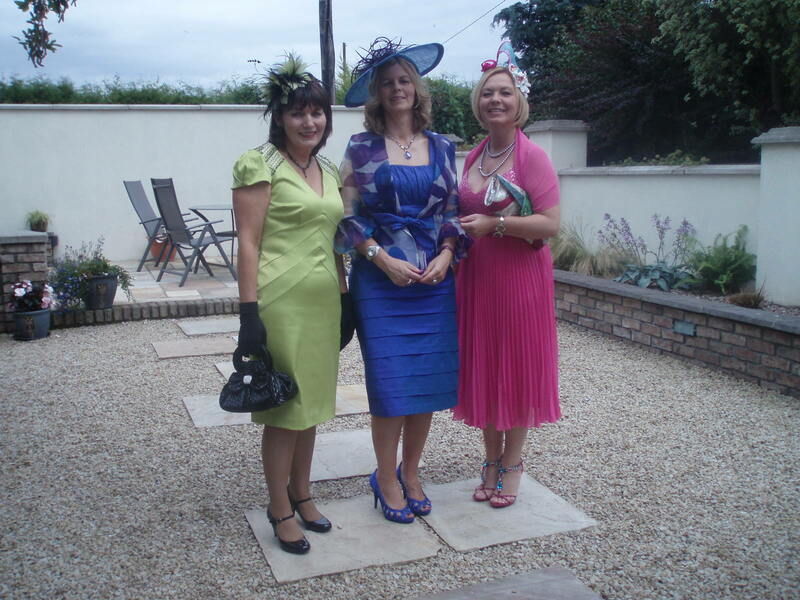 Off we went to Kilbeggen Races. I was excited about trying out my new betting system, namely backing a horse that had any connection with my love life, be it past, present or future. Armed with a racing card, I set about chosing my horses. 5.30: Let's go for Soldier Bay. My first heartbreak was over a soldier about 20 years ago. I think he's now married with two grown up kids. Horse should be given his marching orders. 6.00: Ah, Gentle Noel. Not an ex boyfriend but rather a reflection on myself..... Noel(een). I know thats pushing it a bit, but they're my rules, so I can bend them! Nope, that didn't work either despite the fact that it was the favourite. 6.30: Lucky at Last. Now that looked like a future prediction. Alas, I should have paid more attention to the word "Last" in the title! 7.00: Banna Man. The horse that started this selection process off. I was very confident about this one, but once again I was let down. To any of my friends who backed this horse simply because they had read my previous blog, I humbly apologise. But why are you taking my stalker? Get your own! as I'm sure he said the same about me. I can hear Garth Brooks singing "Unanswered Prayers" in my ear! Ballinoe Bob and What's up Bob? Needn't have pondered so long. neither won! By this stage I was despondant as my system wasn't working. My sister Jacqueline had 4 firsts.....and she has a husband!!! Life is so unfair. I was heading towards the bookies when who should I meet, but a genuine, living ex-boyfriend! We had dated for a few months several years ago. It didn't work out (roughly translated - he dumped me!). A while later I went to the Middle East. The two events were unrelated, It wasn't that I was heartbroken and needed to get away. It was just that a friend of mine was going and as I had no ties here, I decided to go as well! "Have you changed the ..............? "Do you still go to.................? Of course the main question would be the "Did you get married?" one. Neither of us was wearing a wedding ring, but then again, women always wear theirs, men don't always. I was the braver one to ask it! "Yes. Got married about three years ago. And you?" "I can't believe that a lovely girl like you hasn't gotten married!" Listen here Sunshine. You didn't want to marry me all those years ago, why are you so surprised that no one else did either???? "For what its worth, I got a tip for the next race. It might be worth a chance.......Hot Friend." You won't believe it but it came......second! Ah come on! It would have been far too weird if it had actually won! However, having learned from life experiences I had backed it each way. Hey, I may not be a girlfriend/wife/partner but I sure as hell am a Hot Friend!! !